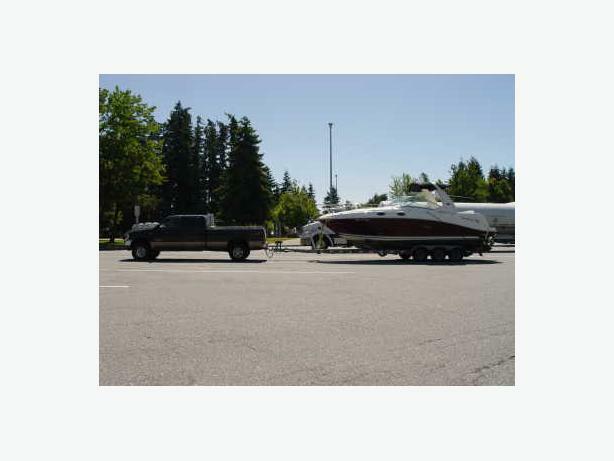 We have a 4 Wheel Drive Truck & 30' Boat Trailer going back to BC from the East Coast! Will deliver to anywhere along the way!! We Carry $250,000 Cargo & $2,000,000 Liability Insurance ! Limited Company with a Business Licence & Business Address! We accept Visa, Master Card, Cheques & Cash! We provide a receipt for tax purposes & a record of the haul! JT HOTSHOTTING DELIVERS 24/7/365 ANYWHERE, ANYTIME & ON TIME!!!! Serving Western & Northen Canada!